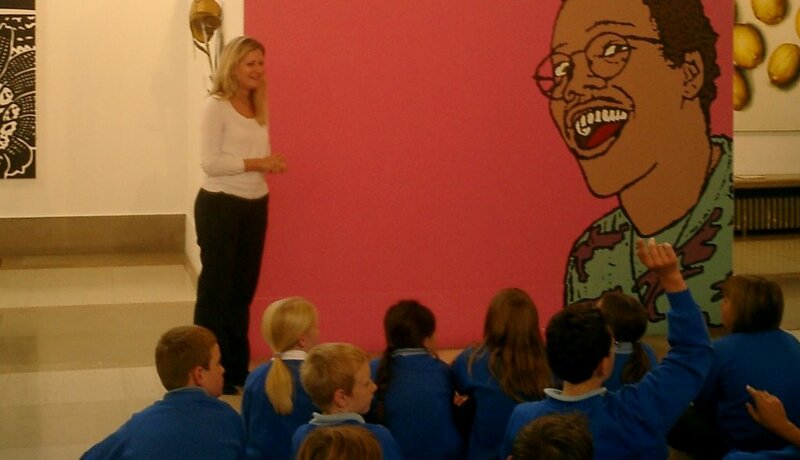 Visiting an Art gallery is a valuable aid in developing childrens awareness of the world around them. An introduction to various different types and styles of art proves exciting and stimulates questions and ideas. Four out of thirty (12%) of children in this group had been to a gallery before. The current image shows a piece of artwork created by Simon Grennan and Christopher Sperandio, this work was used to stimulate thoughts about modern day portraiture, colour and composition.